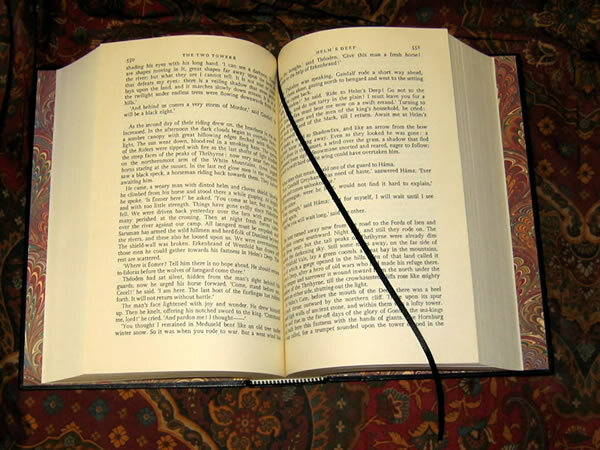 The 1968, 1st Single Volume Edition, fully rebound in black leather. All edges trimmed with red topstain. 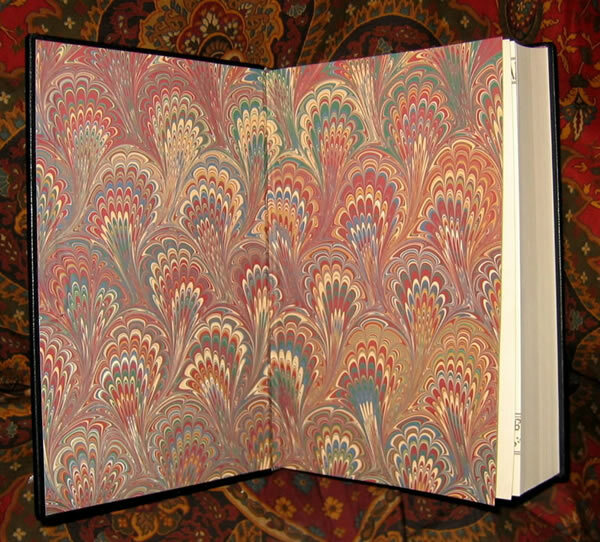 Hand marbled endpapers and black silk ribbon marker sewn in. Text block is clean and bright, with no names or writing to be found. 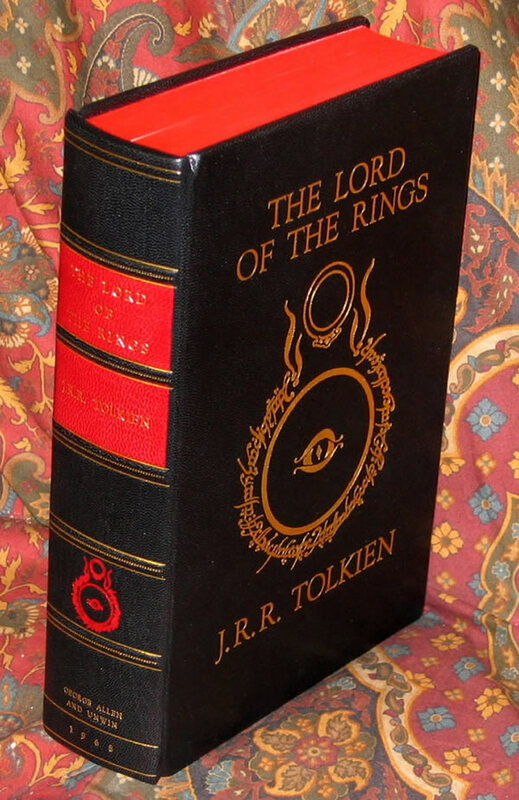 The full black leather binding features Tolkien's "Ring and Eye" design, from the original dustjackets, with Title and Author gilt stamped on the front boards. 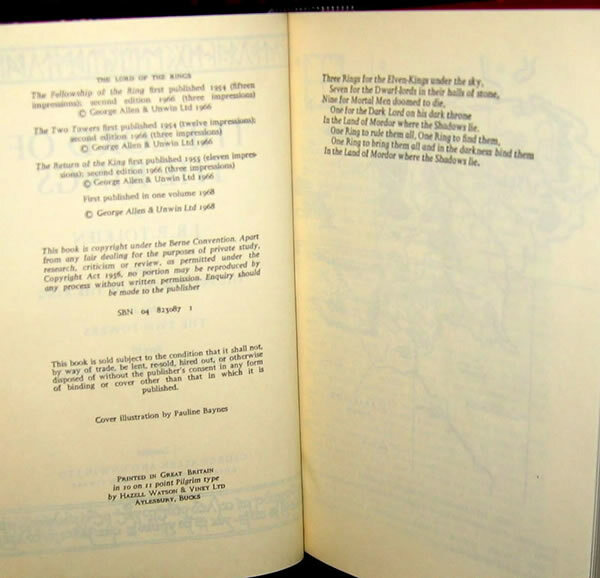 The spine of the book features raised bands with gilt rules, red leather inserts with the Title and Author gilt stamped. Also has a smaller version of the 'Ring and Eye' gilt stamped in red. 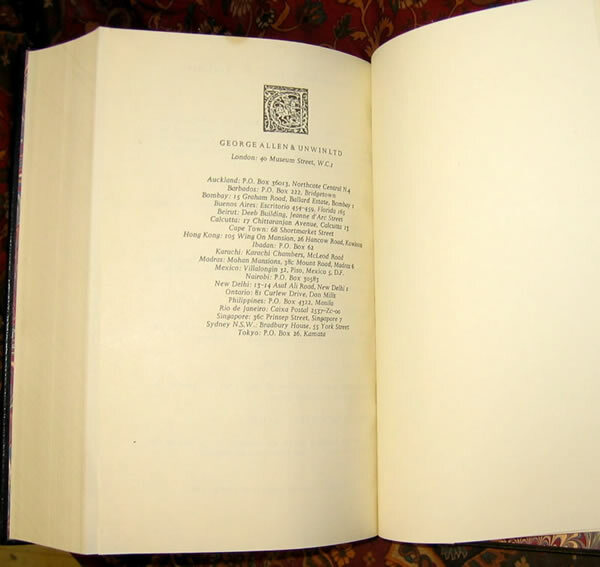 Publisher and date, 1968, gilt stamped at the bottom of the spine. 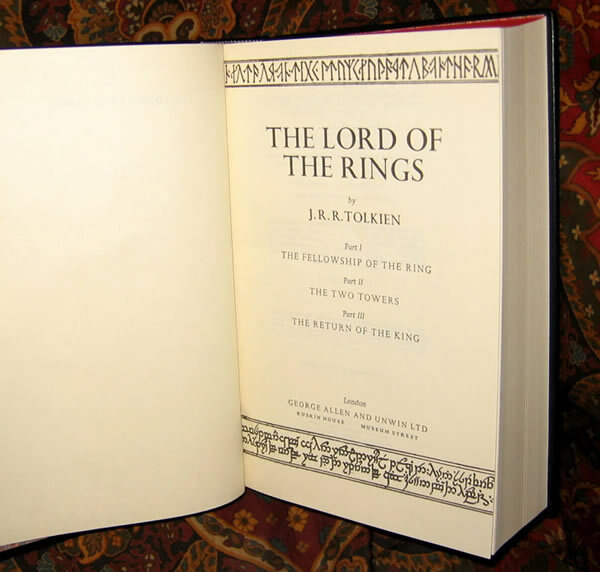 Makes a beautiful presentation of this classic of fantasy literature.